School board races across the state have added importance this election year. A growing coalition of parents believe that the elections held this year are the most important in recent memory. For these parents and tax payers, the future of our school districts are at stake. A transformation of education is underway, led by a consortium of unelected ‘officials’ and lobbyists, school attorneys and special interest groups. For this reason, the elections of 2014 have taken on added significance. These elections are about the most personal form of government and local control, accountability and responsibility. The Camdenton R-3 school district board of education has three seats up for election on April 8. This year’s elections are taking place under the long shadow cast by last campaign season. It showcased, in a snapshot, the brutal reality of politics and power in Camden County. This year’s elections, thus far, are taking an entirely different course. The goal however, remains painfully clear. Ensure the status quo. Recently, the Lake Sun asked candidates for Camdenton school board their qualifications and asked a couple of questions. The responses to the first of those questions are noteworthy, as it deals with a fundamental change to the way the public is ‘allowed’ to interact with board members. Do you think the current school board policy regarding public participation allows for sufficient opportunity for the public’s voice to be heard? Do you support the current policy or if elected would you seek to make changes to the policy? This policy represents a fundamental shift of the tax paying public’s ‘role’ in school affairs. It plainly seeks to use a questionable interpretation of law to stifle public input to the board, requiring an approval process that filters communications meant for the board through both school administration and school attorneys. This, to many parents, represents another step in a silent coup, preformed under the assumption of authority neither the administration, nor the school attorneys, have. A concerted effort has been made to reinforce the false logic that our representatives should somehow be ‘protected’ from hearing from the public and parents they serve. Part of the new public comment policy, as recommended during an August visit from an MSBA lawyer, appears below. Camdenton adopted a policy that restricts the public from having open discussions with the board about their concerns, if those requests aren’t ‘approved’ by administration and attorneys. 7. Only items from the posted agenda may be discussed. If an individual seeks to address an issue that is scheduled to be discussed by the Board in closed session, the Board may require the person to hold his or her comments until closed session. 8. The Board may vote to suspend or amend these rules in extraordinary circumstances. The Board may impose additional rules as it deems necessary and reserves the right to alter the above rules depending on the circumstances. The Board reserves the right to cancel, reschedule or delay the public comment period at any time or delay comment on a particular topic. The Board may refuse to hear comments on a particular topic if advised to do so by legal counsel. Yes, I believe the recently-updated school board policy facilitates engaged communications with our students, parents and patrons. We truly want to hear from our public. It’s their school. We recently enhanced this school board policy with an email address so our patrons can access all board members at exactly the same time from our school district’s web site. We have received emails, returned replies and heard positive responses from the public because of this additional and convenient use of technology. This is in addition to the options of writing us letters as well as speaking during every public portion of our school board meetings. Yes, I support this policy. We will be monitoring its progress. We also will continue to be cognizant of new technology as it emerges to communicate with the public exemplifying transparency and participation. I invite you to peruse our website, http://www.camdentonschools.org. There you will easily find exciting student highlights and important information. Please click the “school board” tab to learn and/or leave any questions, concerns or comments. We are here to work together for our awesome LAKER NATION! First of all, I believe that communication between the public and a public school is essential to the vitality of the school and community. I believe that transparent, open lines of dialogue can aide in the direction of the district and prevent disruptions that hinder progress at all levels. Awareness of situations as they arise is key to correcting them and will strengthen the district as a whole. E-mail has proven to be an efficient method to communicate. Second, I do believe that concerns should be filtered through proper channels. There are many issues that are most appropriately handled by the teachers and administrators who work closely with the students. This will allow everyone, including the board of education, to most efficiently perform their duties in a timely manner. It also allows continued focus on delivering the best possible education and work environments for our district, which is our goal. Lastly, if an issue warrants board attention, best practice is inherently to give all parties preparation time. This allows improved communication and input, which will expedite resolutions so that we remain focused on our goals. After reviewing Board Policy “BDDH-Public Participation at Board Meetings” and attending several Board meetings it is evident to me that the Board is allowing a public comment time during the meeting. As outlined in the policy the public comment period is only designated for items that are on the agenda for that month. However, the policy also states that any member of the public may request an item to be placed on the agenda for discussion as long as it is received seven days prior to the meeting. Certain items regarding personnel, student issues and legal matters may need to be addressed in closed session. Perhaps better communication to the public with regards to this policy and the procedures to be heard at a Board meeting whether it is during the public comment portion of the meeting or getting an item placed on the agenda for public discussion. Not knowing what the public wants changed I would have to support the current procedures in the policy manual, many school districts in the state do not allow a public comment time in their School Board meetings, this is a local decision. I do support this policy. Our policy allows the community to request topics of concern to be placed on the agenda which allows the patrons AND the district to prepare for an educated discussion. I believe this 7-day policy supports a professional and cooperative environment. Board members are responsible for protecting our staff and students; allowing anyone to speak on impulse could open the district to possible legal repercussions. This past year the board unanimously voted to introduce a board email address. This line of communication provides patrons an avenue to contact us with any issues and concerns while allowing us to continue focus on the goals and progress of students and staff. Four of the five candidates for Camdenton school board, as indicated by the answers given above, are in favor of this public comment policy. The lone dissenter from the ‘company line’, candidate Mindi Sales. I do not support the current policy on public comment. I attended the board meeting last fall where the MSBA came in and spoke to the board when recommending that they limit public comment to those items approved to be on the agenda. I was disappointed when the board, including 2 of my incumbent challengers, voted to approve that policy. When the question was asked of the attorney who was trying to convince the board to alter policy to put heavy limits on allowing the public to speak to the board, if there had been instances where a board had ever been sued as a result of public comment. She answered, “no, but it could”. Thus, the policy was changed. I do not think that is fair to the community that we are serving. I believe that the board is elected to be the voice of the people. I do NOT think we should limit their opportunity to be heard. Might a meeting go on for a long time if we have lots of comments? It might! But when else does the public have an opportunity to speak to the entire board? To understand the context of Mindi’s dissatisfaction regarding the board’s recent decision to adopt this policy, her own recent experiences in attempting to address the board offers insight. In the summer of 2013, Mindi attempted to find out why former Camdenton Middle School Principal Sean Kirksey was suspended. Finding a disparity between DESE’s outline for responsibility and Kirksey’s suspension, Mindi sought answers from the school board regarding his suspension. It was during this time that a lawyer from the unelected Missouri School Board Association spoke during a meeting of the school board. Her experience is reprinted below, taken from her campaign’s Facebook page, Mindi Sales for Camdenton School Board. My experience with the public comment policy started when I wanted to address the board concerning Sean Kirksey. I thought that as a tax payer and a citizen of the district, the board would want to hear from me since they were, in theory, representing me. So, I emailed Dr. Hadfield and called Chris McElyea to discuss my options. I was told that I could NOT talk to the board about employees. I thought that was wrong! If I wanted to come and read a letter about a teacher that went above and beyond, they would let me do that, but I couldn’t say that I thought Sean went above and beyond? My real question was WHY??? So, Dr. Hadfield had someone from the Missouri School Board Association (MSBA) to come in to talk about public comment. I was at that meeting. Her main point was that we MIGHT be sued if we allowed public comment about a staff member. Now, this has NEVER happened, but since it MIGHT, we should shut off all public comment unless the person wanting to speak follows some very controlled rules?!? Here is the thing about speaking in front of the board: You have all 7 members there and everyone will hear the same words. If you go meet each individual, sometimes different things are said to different people, therefore causing a bigger problem in my opinion. When you are on a Board of Education making sometimes tough decisions, it is not always going to be happy and fun. But, we need to have ALL the input to make a good decision, and that includes the input from the people!! THIS IS THE MAIN POINT I WANT YOU TO HEAR: In order for you to talk about an issue to the board, your issue MUST be on the agenda. In order to be on the agenda, you have to ask at least 7 days in advance and get approval. The board does not have to allow your agenda item on the agenda. WHY is someone allowed to dictate what the people can say to their own board?!?!? Here is how that policy did not apply when I was wanting to talk about Sean. The Board was already making the decision concerning Sean. What good would it do to go talk to anyone other than the Board? Why didn’t they want my input? Why wouldn’t they want to hear from someone who had nothing but great experiences with an employee whose fate they were deciding? Do I believe that there should be procedures in place for complaints? Of course! The Board cannot deal with every issue that is brought up in every building every day. I understand that. But, I do feel the board has a responsibility to listen to the people. I do not think they should hide behind a policy in hopes of trying to avoid an issue. Sometimes the board might have to listen to something that might be a bit uncomfortable. For example, I was at a meeting once when someone wrote a letter that was talking about Laura Martin in a disapproving manner. Laura sat and listened to the entire letter. No one stopped this person from saying what she had to say about Laura. If we are going to allow some not so warm and fuzzy comments to be made, why can’t we comment positively about someone?!?! Being on the board is not always going to be easy, nor is it always going to be fun. Sometimes it might be down right uncomfortable. But, we have been elected to do the will of the PEOPLE. Shouldn’t the board be willing to HEAR the people? I think it is important that the voters know where everyone stands on these types of issues. After all, the board is representing YOU! Mindi’s experience raises some very real concerns with the adoption of this kind of restrictive policy. It allows for administration and lawyers to dictate what the public can and cannot relate to the board. When taken beyond Mindi’s example, the framework created by this policy change is one that is anything but transparent, despite the claims made above by Selynn Barbour. It is designed to conceal. It is designed to silence questions. This policy change was initiated by Barbour, who made the motion to approve this new language regarding public comment. Her motion was seconded by Jackie Schulte. In the traditional fashion of Washington politicians, the school board, after adopting this stifling policy, announced that the board of education members would be ‘allowed’ to have email addresses through the school. These email addresses, according to the false narrative presented by Barbour, would make it easier for the concerns of tax payers and parents to reach board members. The email “enhancement” comes with familiar policy language. On January 14, 2014, in an article in the Lake Sun announcing the email policy, Assistant Superintendent Roma France announced the implementation of Camdenton’s email accounts for board members. 1. If you are providing Board members an e-mail address, all Board members by policy must sign the Authorized User Permit that staff and students must sign and Board member must agree to the same terms as staff and students. This first policy restriction would allow, presumably, for the unfettered monitoring of emails between themselves and their constituents. It creates an environment worthy of the NSA in the Camdenton school district. It would allow complete access to all board member’s accounts, without cause, without warrant. Camdenton’s version of Big Brother, it can reasonably be assumed, is manned by school administration and the districts lawyers, the firm of Mickes, Goldman and O’Toole. 4. When information is sent via the generic Board@camdentonschools.org, the protocol is for the superintendent or Board president to respond on behalf of the district and to cc the Board the response so that the Board knows the patron has been corresponded with and what was said. If a Board member disagrees with the response or has questions, he or she is encouraged to immediately notify the superintendent and the Board president of that fact. The last sentence in this ‘guideline’ is one that gives us pause, particularly when we consider the access and latitude granted the administration and its lawyers in regard to the distribution of emails in the first place. This assumption of authority, of determining which emails reach the board, is reemphasized throughout these ‘rules’ created by administration and their attorneys. Number five of these ‘guidelines’ ensures that, even a board member can be denied the ability to add a topic or concern to the agenda. 5. Any Board member may ask that a subject is added to the Board’s agenda at the next meeting for discussion. The Board as a whole will ultimately vote when approving the agenda to determine if the issue will be discussed. However, Board members are free to direct questions or concerns to the superintendent or Board president. 6. A Board member who is not the Board president may correspond individually with a patron, but is required to indicate that the opinions expressed are his or her own and not the Board’s. A Board member is prohibited from using a district-provided e-mail address contrary to district policy or law or to violate district policy or law. The key words and phrases in ‘rule’ number six are distressing. “Board member”, “prohibited”, “contrary to district policy” and “violate district policy”. These are words that place control of our school, not in the hands of our elected representatives, but into those of administration and attorneys. Many of these policies were crafted, approved and suggested by the attorneys for our school district and district administration. They are not rules of law, nor are should they be. Rules nine and ten completes the usurping of power from the citizens in the Camdenton school district. They clearly illustrate the ongoing efforts to eliminate ‘local control’ over our school districts. 9. The superintendent or Board president in their discretion may not respond to messages from the same sender that are repetitive, or messages that are threatening or that use profane language. 10. The superintendent or Board president will not directly respond to messages involving litigation, potential or pending litigation, or a situation on appeal pursuant to district policies or the law. In addition, the superintendent or Board president may not respond to messages if advised by the district’s attorney not to do so. However, the superintendent or Board president will acknowledge receipt of the message and notify the sender of the rules. These policies, designed to remove, control and suffocate the input of parents and tax payers, are the opposite of Barbour’s claims. “Yes, I believe the recently-updated school board policy facilitates engaged communications with our students, parents and patrons. We truly want to hear from our public. It’s their school. We recently enhanced this school board policy with an email address so our patrons can access all board members at exactly the same time from our school district’s web site. She also invited the public to “peruse” the school web site. Perhaps Ms. Barbour should have perused a dictionary for both the correct definition of transparency. To her credit however, Ms. Barbour didn’t dive under her desk like partner-in-crime, Jackie Schulte. Ms. Schulte used the question regarding the public comment policy shift to beat the drums of fear mongering. This fear mongering is based on the flawed legal interpretation that, somehow, the school board could be held liable for what a citizen says to them. This laughable notion is parroted by Schulte. It should come as no surprise that both Barbour and Schulte embrace these restrictions. They have a history of misleading the public regarding school business. Nor have they been alone in this endeavor. The desire to mislead the public, engage in character assassination and restrict public comment and input appears to have a clear motive. The Camdenton school district is a $45 million dollar a year business. How that money is distributed, to whom and why, are questions that some board members simply do not want asked. For example, Selynn Barbour would presumably prefer the public didn’t know that she must recuse herself from all votes to approve payments to the district’s architects. Why must she recuse herself? Because she is related to members of the firm. School board president Chris McElyea has the same complication, when issuing payments to his father’s title company. Nor are these policies, and the motives behind them, only being questioned by Mindi Sales. As was previously mentioned, during the August meeting of the Camdenton school board, a presentation was given by an unelected attorney speaking on behalf of the MSBA. This presentation offered the basis for legal fear mongering echoed in Schulte’s statement. The lawyer’s presentation wasn’t the only one heard by the board that evening. Another presentation was made in reference to the public comment policy and its motivations and application. Chris Michaelree spoke about these issues during the time allowed him during public comment. His presentation appears below, in full. “Board Policy BDDB states that a patron desiring to be included on the agenda shall make a request to the superintendent. The board can limit the number and speaking times of a spokesperson, it does not however include a provision for the board or superintendent to deny the request. The use of the word request does not imply that a request can be denied, it is the same term used in the first paragraph of this policy that a board member may request an item be added to the agenda, or as in a sunshine request, it is a term used for courtesy. Therefore, any patron who has made a request under this policy and has had their request denied has been a victim of a violation of board policy by the superintendent or the president of the school board. Board Policy BDDH has most of the same terminology but does add a few provision. It states that the request can be denied if the proper grievance policy procedure has not been followed. But it also states that the item will be appropriately placed on the agenda. In a lot of cases the grievance policy does not cover what patrons wish to discuss with the board since it might not be something in which they had direct involvement. For example, if I wanted to discuss actions of a school employee, with whom my child nor I have direct contact, but I feel their actions were right or wrong, there is no grievance procedure for me to follow and therefore if I make a request to be added to the agenda and my request is denied the superintendent or president of the school board is violating board policy again. In fact if any request is denied for any reason other then you need to follow the grievance policy before this can be added to the agenda, it is a violation of board policy. Even if the school’s attorney recommends that they deny the request it is still a violation of board policy. It is very sad that the school administration justifies breaking board policy because there attorney recommended it. When administration breaks board policy some sort of consequence should be imposed on administration. Two options are being presented to the board tonight, one that allows public comment and one that will remove public comments from future board meetings. If the board ultimately decided to not allow public comments, it just shows how secretive you want to be about school operations. It also shows how much you don’t care about the opinions of the community. When I received my letter saying that I was added to the agenda, Hadfield also included several restrictions on what I am and am not allowed to talk about even though board policy on agenda items does not put a restriction on what I am allowed to discuss, not to mention the fact the it violates my 1st amendment right of freedom of speech. I was however invited to closed session where the restriction would not apply. I believe that the community has the right to know some of the things going on at the school. I can understand why Hadfield would try to add these restrictions. I would not want my dirty laundry publicized, but the truth of the matter is, until all of what is going on in the school comes out it is never going to change. My father often asks me why I am doing this when I talk to him about what is going on or ask him his opinion since he sits on a board. My response is always the same, there is a problem in the school and it is the administration and it needs to change, and if I don’t try then it might never change. If an employee were to violate board policy, severe consequences would follow, and maybe even the loss of their job. But why is it when an administrator or board member violates board policy nothing happens. The board policy is the board’s rule book and should be strictly adhered to, because what’s the point of having policy or even a school board if administration and board members can violate policies at there choosing without consequences. A while ago I requested that a teacher and I be allowed to go before the school board to discuss a teacher and provide evidence that an administrator was lying to the board. Hadfield denied my request. Consequently the board only heard from the administrator and the teacher did not have her contract renewed. Later I talked with Hadfield and he verbally admitted that yes the request should have been granted, but it is all over with and done so it does not matter now. Why is Hadfield’s violation of board policy ignored when it had the power to cost an employee their job. The administration does not care about right or wrong, only how it will effect their agenda, be it good or bad. A teacher was placed on administrative leave because they were accused of testing a student without the parent’s consent. The teacher stated that the process coordinator instructed to test the student, since the teacher was not present at the meeting. Only two school employees were at the meeting, the case manager, and the process coordinator. The case manager wrote a letter testifying that the parents were asked and did give consent, the process coordinator must not have filled out their paperwork correctly. And of course nothing was ever done. The teacher remained on administrative leave and did not have a contract renewed. My impression of administration was” who cares we are going to do what we want no matter what kind of facts you present”. Another teacher was called into administration and shown a list of unsigned charges and given a choice to resign before the charges were signed. The teacher chose to fight it. The charges were never signed, instead administration moved the teacher out of the class room to a position where they basically sat around all day at a desk and did noting, in hopes that the teacher would resign. The teacher did not resign and is now back teaching again. Yet another teacher had a spray bottle full of an alum solution in the class room. The school’s story is that the teacher did not use it on a student instead the student got the spray bottle off the desk and sprayed it in his own mouth. Lucky for this teacher she was friends with an administrator, this teacher is still teaching. There is a real problem with administration in this school. Teachers are afraid. I actually talked to a teacher today and asked if they were excited about tomorrow. There response was I am going in kicking and screaming, I would rather stay home, but I will go in, do what I need to get done and leave. Is this really how we want our teachers to feel? That they have a deadly fear of the school administration. A comment was made in the paper a while back, that the school board was the reason that they did not get very many applications to fill some important jobs in the district, I would argue that it is the way the administration behaves as to why people are steering clear of applying for positions in this school. Mr. Michaelree’s concerns are not without merit. He took the results of his research into the district’s behavior to the Camdenton Police Department. The Department, citing a conflict of interest due to their relationship with the school, stated that they could not investigate further. They also indicated that Mr. Michaelree’s research should be taken to Jefferson City, as there is cause, in their opinion, to pursue the investigation further. Nor are financial questions the only questions being raised this election season. An investigation into Sean Kirksey’s case revealed a bully system that has been institutionalized in Camdenton. Questions raised by the suspension of Sean Kirksey uncovered a tense, oppressive work environment and the many good teachers left in its wake. These former teachers and administrators in the Camdenton school district described a climate of hostility and fear. These stories were reinforced when, earlier this school year, after less than three months in the Camdenton school district, a first grade teacher with more than a decade’s experience felt she needed a lawyer to tender her letter of resignation. She feared further repercussions from administration. She was frightened for her ability to teach in another district, should the bullying that led to her resignation extend beyond Laker Nation to her search for another position. The bully system that has been constructed in the Camdenton is not restricted to the staff and teachers of the district. It has been extended to parents who ask the types of questions raised by Mindi Sales, Chris Michalree and Sean Kirksey. These parents have been targeted in the most insidious of ways, through other examples of questionable legal interpretation. Our school district has been used to file flimsy lawsuits of retribution against families in our district. These frivolous, spiteful suits have served to fatten the pockets of district attorneys Mickes, Goldman and O’Toole. For the firm, an assault against parental rights is a windfall in payments from a district like Camdenton. Or Lebanon. Or Marshfield. Or Richland. The law firm of Mickes, Goldman and O’Toole represent more than three hundred school districts across the state of Missouri. Their deep affiliations with the MSBA and other organizations have ensured their silent coup, this assumption of authority, has been exported across our state with the veracity of a virus. So too, are the firm’s practices. Across the state, the law firm that has assumed the authority to monitor Camdenton board member emails and endorses the flawed legal argument that is being used to silence parents and tax payers, has left a litter box full of questionable actions in districts across the state. In southeast Missouri, the law firm filed a cease and desist letter against a parent for asking questions. In Lebanon, they have claimed legal authority to rewrite court ordered parental custody agreements. In Camdenton, they have cost thousands of dollars in legal fees regarding questionable personnel decisions and in filing a lawsuit against a family who home schooled their children under unsubstantiated claims of abuse and educational neglect. It is understandable, why the law firm of Mickes, Goldman and O’Toole, has assumed authority and control over what can be said to our school board representatives. Seylnn Barbour made the motion to give the firm this power. Jackie Schulte seconded it. Board members Williams, McElyea and Masterson all agreed to limit your complaints about this loss of local control and representative government. They have codified, with their votes, the transformation of our own school district. Why would they be in favor of limiting your right to voice your displeasure? If the public were allowed to ask questions, we might not stop. The transformation of education across the state of Missouri is underway. Stories like those from Hickman Mills, a district whose board has so blatantly abused their positions, remind us that Camdenton is not a mirage. It is not occurring in a vacuum. The people of the Camdenton school district, and districts across the state, have the opportunity to wrest control away from the authors of this scheme to steal local control out from under our noses. We have the opportunity to ask these questions. We have the right to demand answers. As mentioned at the beginning of this article, the tactics being employed by those in support of this oppression are different than those displayed during the past election. Instead of actively mudslinging, attacking and blatantly making false claims against those who question the district’s course, tactics are being employed in this election that remind of the policies detailed above. As reported by American Spring, KRMS ownership has refused to allow any candidates for Camdenton school board to advertize on their station. This represents the inability and unwillingness of local media to cover the school without bias. Instead, it indicates a clear bias, in favor of the status quo. For long time residents of the Camdenton school district, this is only the most recent example in a pattern of bad behavior. It was this same assumption of authority that led to the district being sued in Missouri Supreme Court by the Lagares family in the 1990’s. That case, Lagares v. Camdenton school district, revolved around the same blind assertion, same assumption of authority by the school district and its administration, the board of education and the district’s legal counsel. In that case, as with the ‘policies’ referenced above, the Missouri Supreme Court ruled that the school district had no authority to overrule the Missouri Constitution in making ‘policies’ such as those referenced above. To enact these ‘policies’ themselves is to violate state statutes, our state and United States Constitutions. That case, Lagares v. Camdenton school district, was more than an educational case. It was fought to preserve the rights of parents and citizens from this exact kind of government overreach by any political subdivision of the state. The adoption of these overreaching ‘policies’ is illegal to begin with. Enacting these ‘policies’? Also illegal. 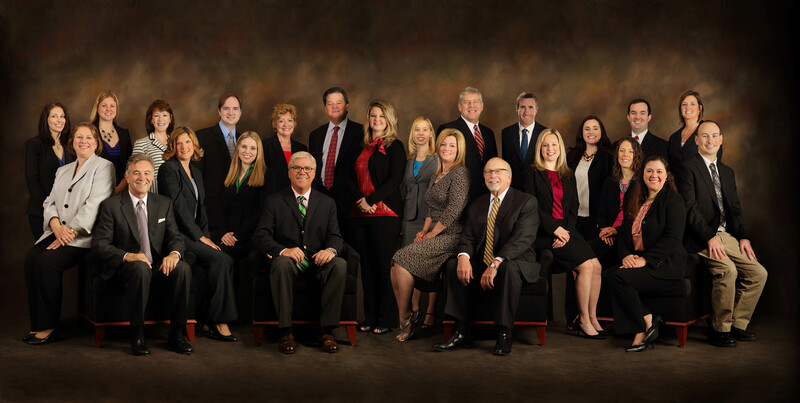 The school board is an administrative body. They cannot assume the powers not granted them by the Missouri State Constitution. They cannot, in other words, assume the role of the legislative and create law. They are simply to follow the laws laid out by the state legislature. This legal precedent was set in Lagares v. Camdenton. The Camdenton school district was already found guilty of this exact sort of overreach. The Missouri Supreme Court said so. The Lagares ruling stands as a legal precedent that has been cited in dozens of cases around the country. The establishment, the ‘status quo’ crowd knows this fact well. Hence their illegal actions to attempt to silence questioning their authority. It is Fascism 101. Thwart the Constitution, assume authority you do not have, silence anyone who questions this ‘authority’. These statutory provisions empower the state board of education to promulgate (1) regulations concerning the standard for identifying handicapped children under the definitions contained in §§162.670 to 162.995; (2) regulations governing the evaluation and reevaluation of handicapped children before and during assignment in a special education program; and (3) standards for approving all special education programs established under §§162.670 to 162.995, including the qualifications of personnel and the standards for determining the assignment of the children to particular programs. None of the regulations the state board of education is empowered to adopt, however, concern the standard to be used in evaluating the sufficiency of the special educational services provided to a particular handicapped child. It is the last paragraph of this ruling that is most important. Here, the Court is quite clear. The school district is not empowered to create these ‘policies’. Period. End of story. Federal case law is equally clear on this matter. While federal cases interpreting Missouri law are persuasive, they “are not binding on this court interpreting our own state statute.” See Wentz v. Indus. Automation, 847 S.W.2d 877, 880 n. 2 (Mo.App.1992). Unlike the Eighth Circuit in Gill, this court finds that the legislature’s intent to hold Missouri special educational services to a higher standard than the IDEA’s minimum “educationally benefit” standard is apparent from the plain language of the “maximize the capabilities” language used in §§162.670 and 162.675. “The legislature is presumed to have intended what the law states directly.” Metro Auto Auction v. Dir. of Revenue, 707 S.W.2d 397, 404 (Mo. banc 1986). In Lagares v. Camdenton, the civil rights of parents and citizens were on the line. While the case dealt with education, if one were to simply substitute the word ‘education’ with ‘Sunshine Law’ or ‘Due Process’, the ruling is still relevant. It is about government overreach. Or, to put it in lay terms, as a dear and wise friend explained to me, it is the parable of the elephant and the mosquito. Everyone is focused on the elephant, or the policy and its gross overreaches. In the meantime, it is the mosquito, the nagging, persistent assertions of authority that are eating our body politic alive. It is the mosquito, in the form of ‘policies’, that is conspiring to steal the rights we have already paid for in blood and sacrifice. It is the mosquito that has led the Camdenton school district and the law firm of Mickes, Goldman and O’Toole to be named as Defendants in a Federal law suit. Currently, the Camdenton school district is stating that they can break the law and write policy. This is the position espoused by four of the five candidates for school board. The bully system represented by these illegal, fascist actions is both ruthless and relentless. In part, because of this ruling, the Lagares family has been targeted by both the Camdenton and Lebanon school districts and their law firm of Mickes, Goldman and O’Toole. The Lagares family’s unbelievable, gut-wrenching story can be found here. It is the perfect illustration of exactly how much truly is on the line this election season. It is an opportunity for the community to demand an end to government overreach. Tonight, at the Osage Hills Church in Osage Beach, the public will have an opportunity to hear from these candidates for Camdenton school board. This forum is sponsored by the Camden County Republican Club and begins at 6:30 PM. Stay tuned to http://www.americanspring2011.com, Guerrilla Radio with American Spring Facebook page and @AmericanSpring on Twitter for the latest updates on this and other stories. The Lake Sun Leader and Lake Media, scrambling to restore lost credibility, has announced the formation of a ‘citizens advisory board’. The stated purpose of this board is for members of the community to meet with the tabloid’s staff and editors to help determine what stories are covered and how they are reported. This is ironic, considering that the editorial staff at the Lake Sun has banned several such citizens from commenting on their articles via Facebook, including myself. In my case, there were no violations of LSL Facebook policy. I was banned for asking questions about ‘Right to Work’ legislation. My questions were on topic and adhered to the Lake Sun’s stated policies for comments. Nor was I the only person banned as a result of editorial malpractice, as others were banned for asking similar questions. Now, Lake Media, caught in the vice of corporate bankruptcy and a documented lack of credibility, is scrambling to remain relevant while its circulation numbers are presumably dropping, in direct relationship to the community’s lack of trust in the organization. The Lake Sun has asked for submissions from the public to address why they should be allowed to sit on this board. They have asked that all such submissions be kept to 150 words and should include background information, such as educational background and current profession. During the past three years, I have written more than 150 words on the Lake Sun’s woes. They have been caught in a cavalcade of lies and manipulations of fact. Consistently, under the ‘leadership’ of editor Joyce Miller, they have set aside the public’s best interests in order to satisfy false narratives provided to them by school administrators, board members and elected representatives of the Lake area. The paper, having lost the trust of the community they purport to serve, has traded its credibility away for cents on the advertising dollar. This plea for community involvement has come far too late. The editorial direction of Lake Media and its subsidiaries has been a lemming march over a sheer cliff. Now, realizing the errors that have been made under Miller’s tenure, the paper is hopeful for a life line from the very community they have repeatedly lied to. 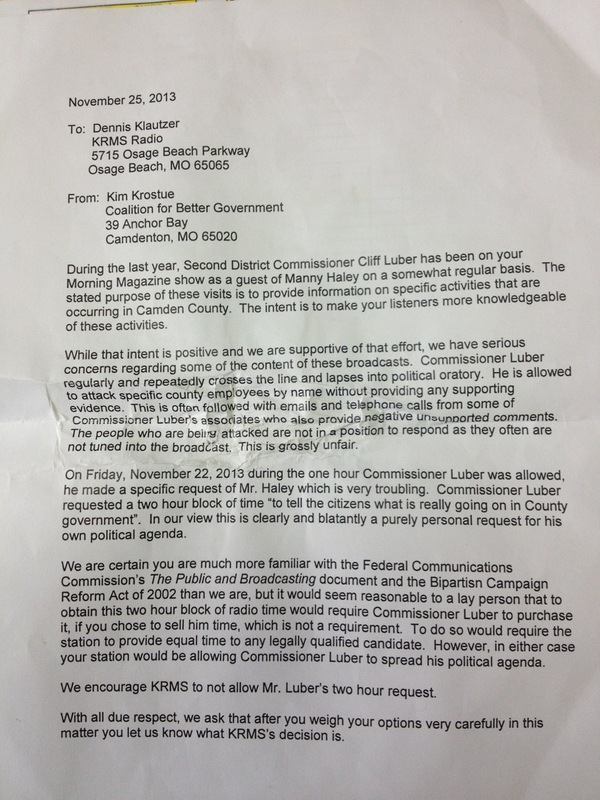 While I have no expectation of being invited to participate in such a board, I would suggest that Lake Media consider offering invitations to Leslie Chamberlin of Citizens for a Better Camden County and local business owner Theresa Townsend. These ladies, while lacking a background in journalism, distribute qualities that are sorely lacking at the Lake Sun: integrity and trustworthiness. Considering the established history of Lake Media’s editorial direction, these are traits that will almost certainly disqualify both women from serving on such a board. Fire the entire staff, starting with editor Joyce Miller OR develop a marketing strategy that would serve a tabloid. Credibility is the currency of news organizations. The balance sheet of public opinion is running parallel to the Lake Sun’s. Both are clearly in the red. This sentence has been amended to its current form.